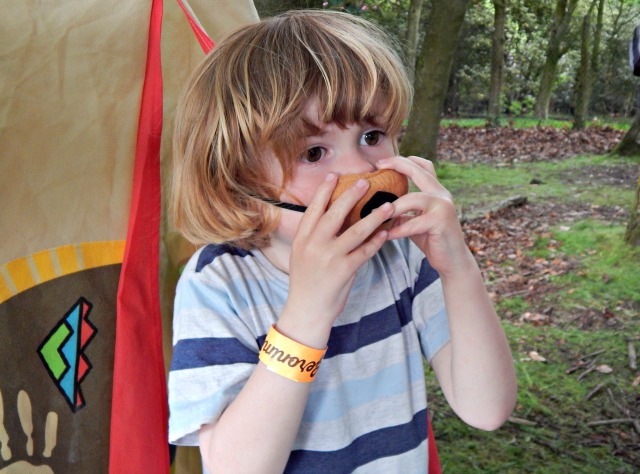 It was only a few days ago that we were at Geronimo Festival at Tatton Park, Cheshire and it was just the best way to start our holidays. I had heard such great things about last year but I knew it was going to busier this year and I hoped that it was going to a fun day for all of us. I needn’t have worried, obviously it was made all the better by the amazing weather! We crammed so much in to the day and still could have done more. We decided not to take the buggy as the twins are pretty good at walking and the festival ground was actually quite compact, we didn’t have to walk far from the car park or to get around the site. Everything was well organised, with an information tent as soon as you walked in (which had free suncream available as it was a hot day) that was giving out maps and timings. 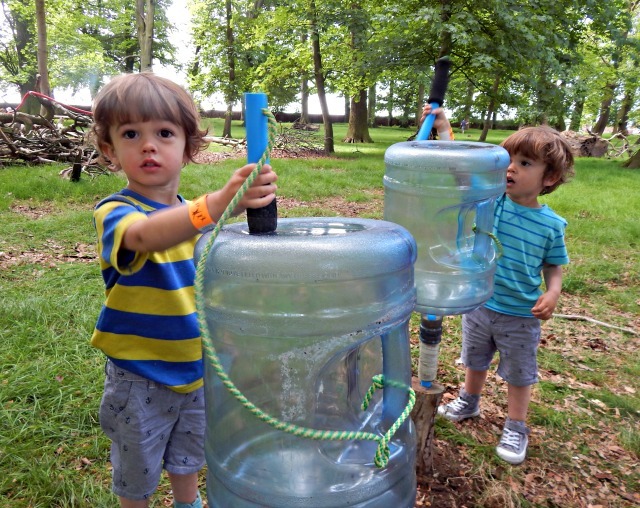 I was really impressed with the toilets dotted all over the site and the baby feeding and baby change tents – I had actually forgot baby wipes but the tents had plenty of supplies which meant I could change them without worrying. The tents that were showing events had timings outside so you could see what was on over the day. Logistically I thought everything was pretty spot on, there were big queues for the popular rides but we skirted around them and found other things to do. 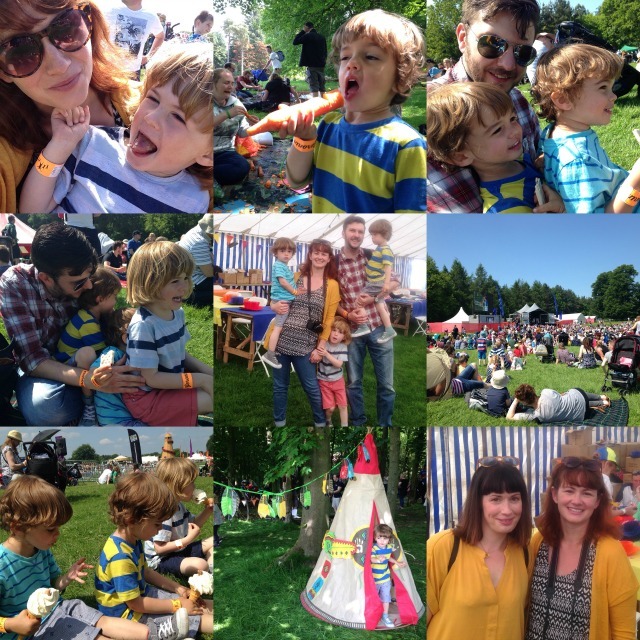 There was so much we all enjoyed there that I thought it would be easier to show it through photos, so here are our highlights of the day. 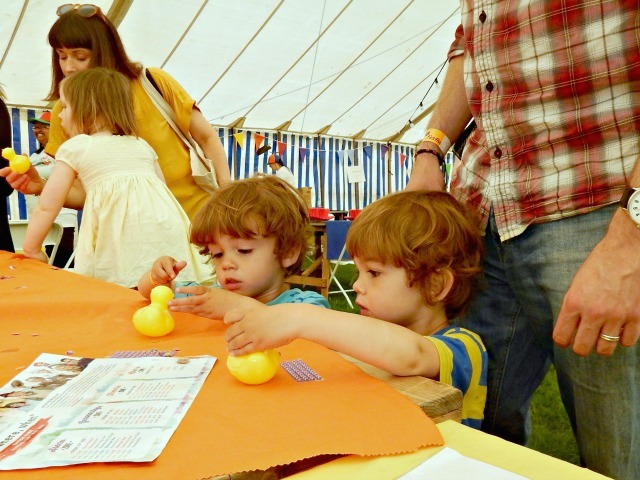 Decorating ducks in the Funky Junk Tent. 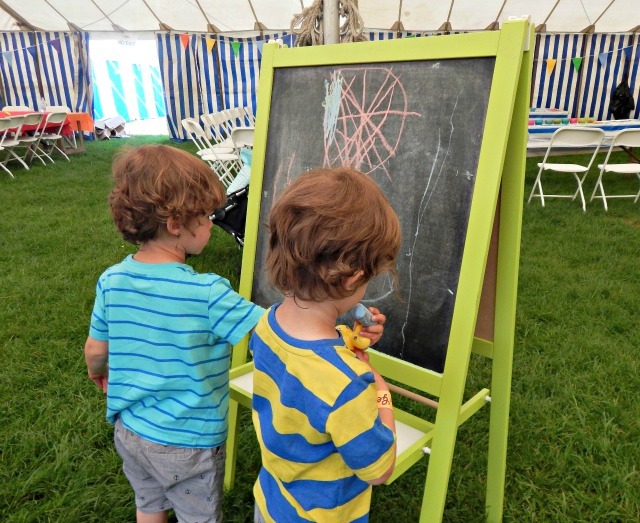 Arty creations on chalk boards in the Funky Junk Tent. 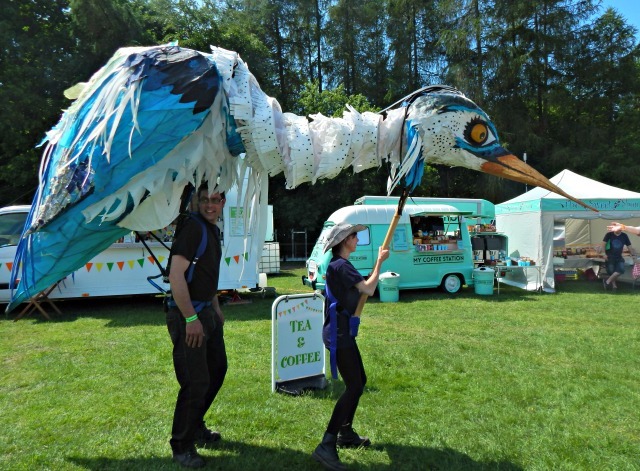 Giant puppets wandered throughout the site interacting with the crowd. 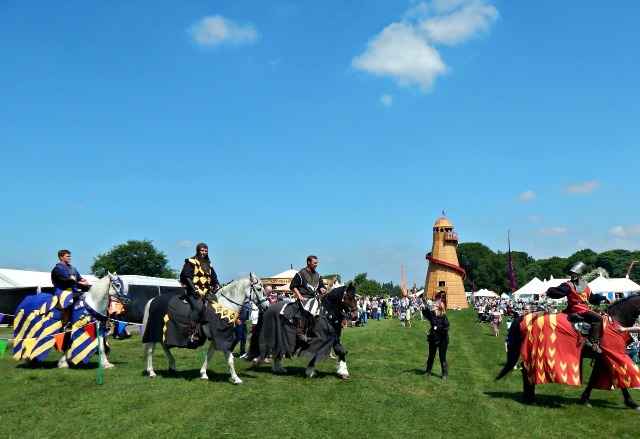 The knights jousting display in the main showground. There were lots of acts you could just pass by, sit down and watch. 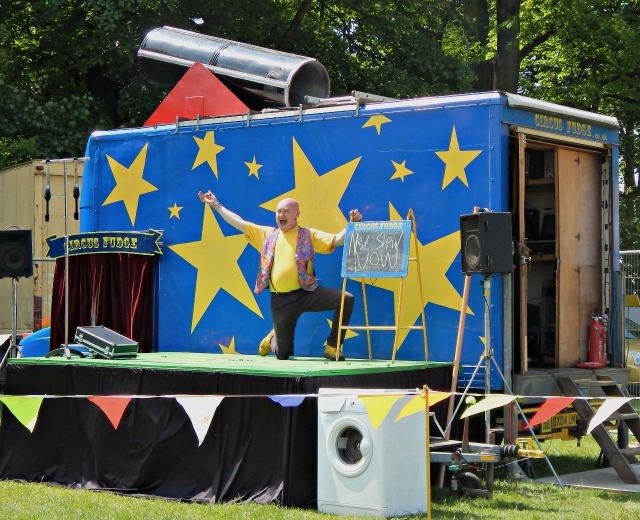 This one was called the ironing board of doom – I think we enjoyed it more than the kids! Playing the junk orchestra out in the woods. 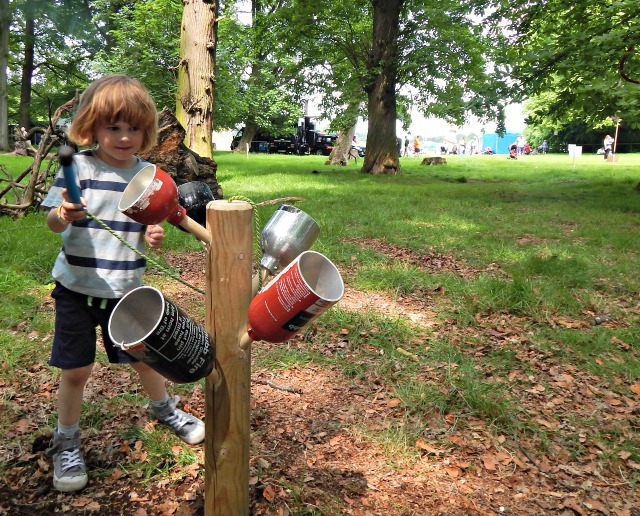 This part of the woodland zone kept out boys entertained for quite a while. Think they would love some of these at home! This cone wound round the tree and you can see Bear listening at the other end. Making carrot whistles with Julia and Flo (Rainbeaubelle). More carrot whistles – thanks to Julia for the photo! 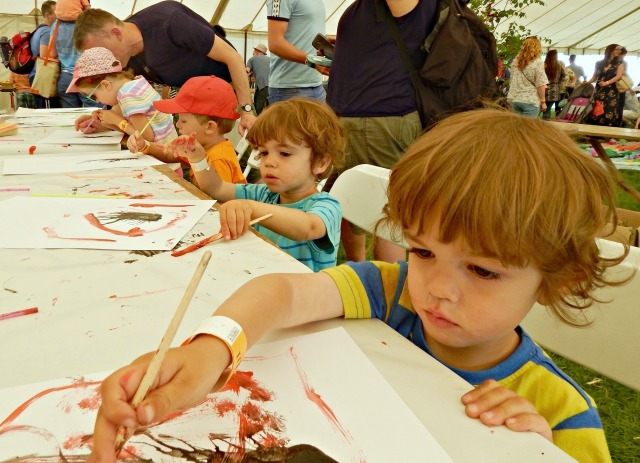 Inside the Enchanted Garden tent where a fairy showed us how the paint cherry blossom trees. 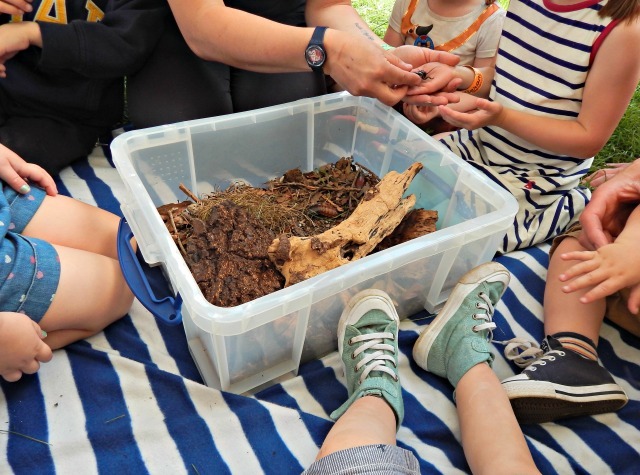 Then we moved on to making creatures out of pinecones and sticks. 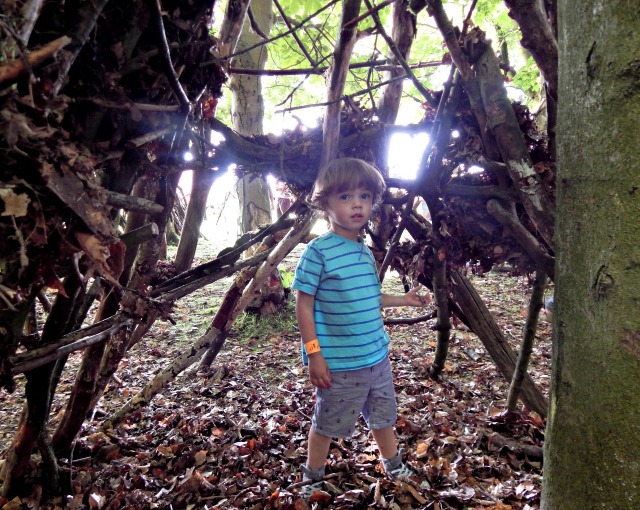 Bear hunting in the woods – the teepees where a big hit in the area. 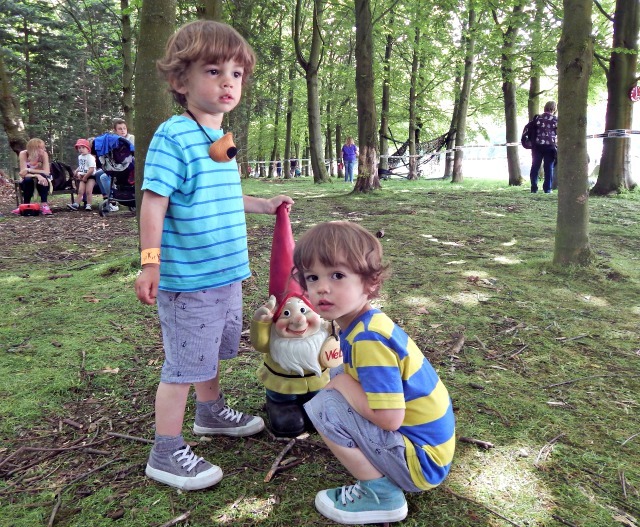 At the end of our bear hunt we found the gnome. Then went next door to try out hand at den building. Learning all about cockroaches in The Pasture. 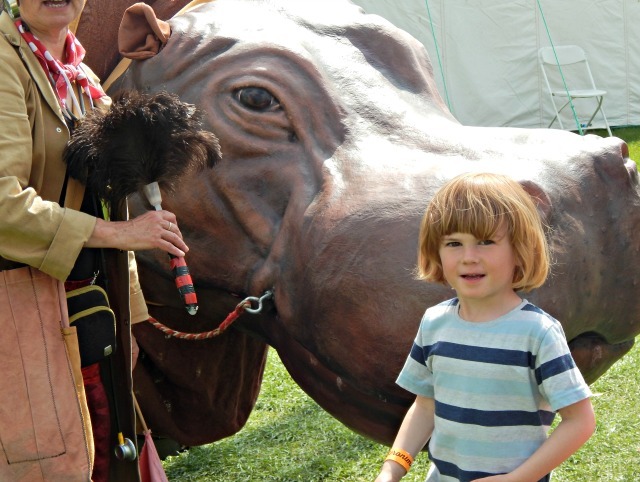 Lucas favourite bit was tickling the hippo with a duster. If you are trying to decide whether to go ahead and book for next year I would highly recommend it but there are some things to keep in mind. Sunday was a very busy day, of course there were queues for the popular rides and events but we didn’t find ourselves short of things to do. 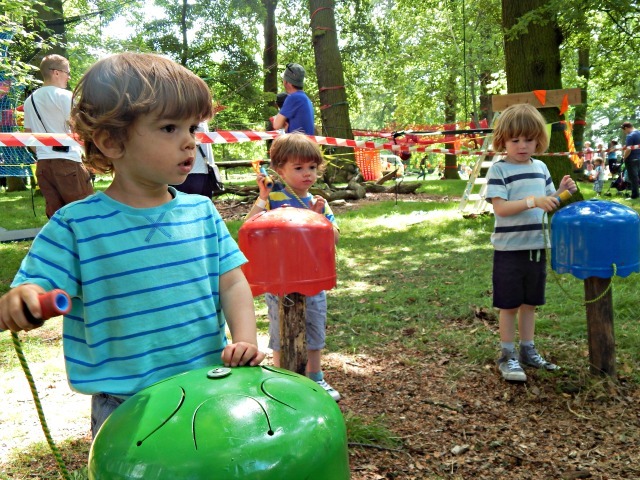 Lucas was disappointed that we wouldn’t stand in the line for the inflatables but he loved the woodland which was easy to get to and not very busy. 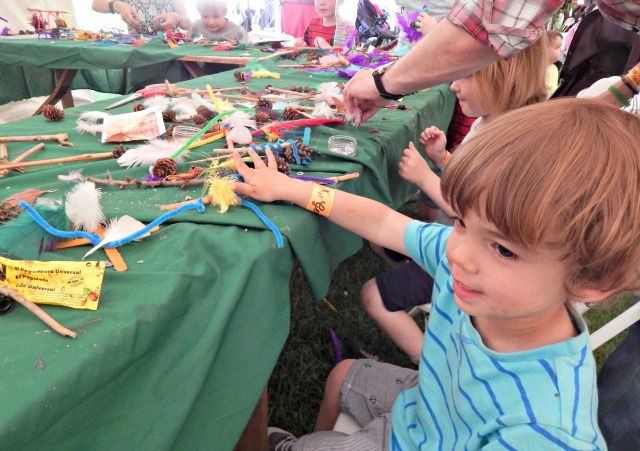 We went into plenty of the craft tents and had no problems being able to do the activities. Some of them even had little shows going on inside of them. Go and hunt things out and get stuck in, there is SO much to do that you don’t have to wait for but you need to go and look for it. Plan ahead if there is something you desperately want to see – check the timings and make sure you are there a good 15-20 minutes before to make sure you get in. We missed out on the circus shows because we didn’t time it right. Head to the things you really want to do as early as you can as it only gets busier. Some things you needed to book a time slot for so do that as soon as you can too. 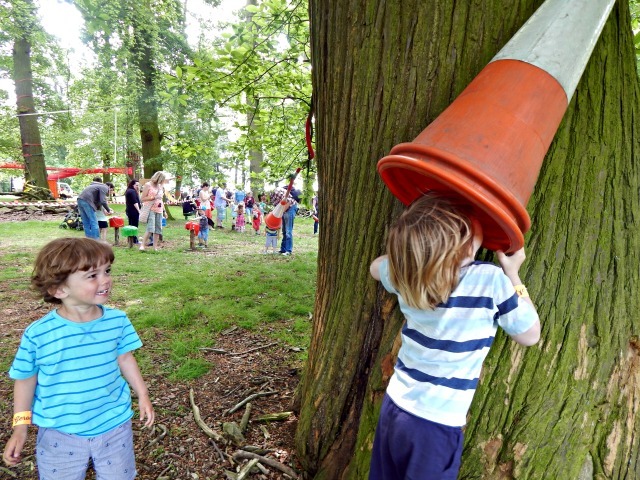 We took a picnic, plenty of snacks and bottles of water which you could refill on site – this meant we didn’t waste time queueing for food but we did give in on the ice cream! We had our picnic by the main stage and got to see a Cook and Line from Swashbuckle and Andy Day do his Dino Rap while we ate. 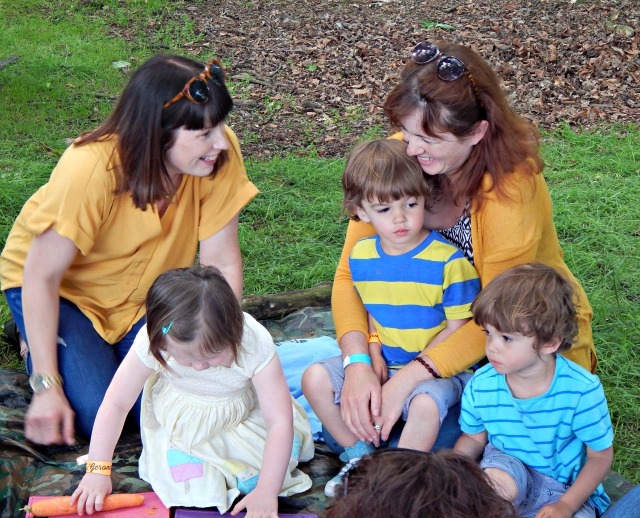 I think the twins were at a bit of an awkward age at 29 months for it as they were too old for the baby stuff and too little for some of the other things – although it didn’t stop them trying them out! They’ll get so much more out of it next year. There was intermittent phone signal on the site so if you want to meet someone there set a time and place before hand, we had a few friends there we didn’t get to see unless we happened to just bump into them. 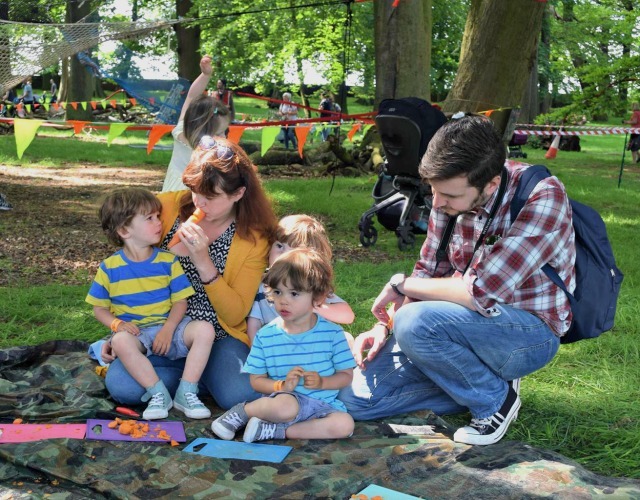 We came home thoroughly tired out with hands full of crafty creations, big smiles and lots of fantastic memories of our first family festival. I would definitely do it all over again. You can see a little video from our day here – it’s only a short one but you can see they fun things we got up to! We were provided with free tickets for this event. All words and opinions are always my own. We were there too. 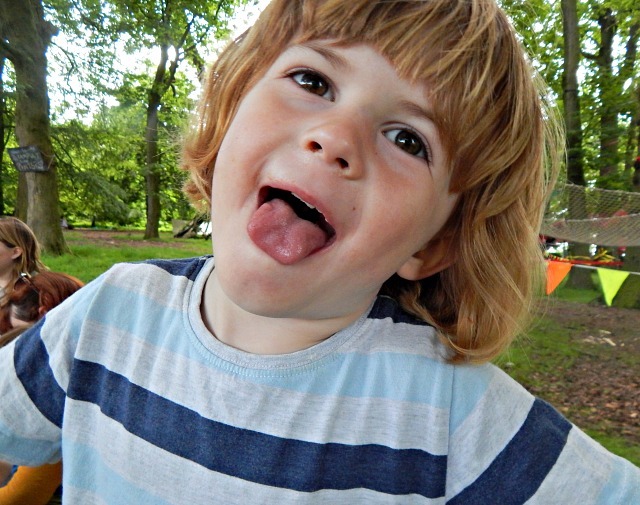 And queued quite a bit – although we gave up because N usually changes his mind (apart from ice cream!). We totally missed the woodland and pasture bits though The junk music looked good. It looks so good with so much to do. Plus the great weather helps too doesn’t it and Tatton Park is so pretty. Am definitely going to consider it for next year! Looks like you had so much fun!! 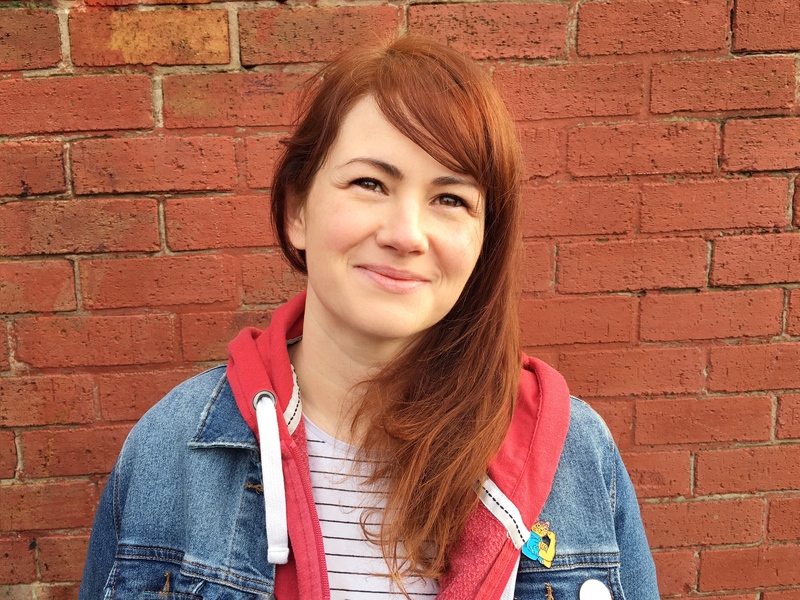 Those photos are gorgeous – especially that lovely one of you and Julia at the end!! I love that they were providing free sun lotion as you went in. I am so tempted to give Geronimo a go next year, even though it is quite a way way from us.